This time L3-G0 brought a friend, MCK-Y, the Lego Mouse Droid. We spent so much time running around the hall interacting with the kids and folks that we don't have a lot of photos, but here're some decent ones. 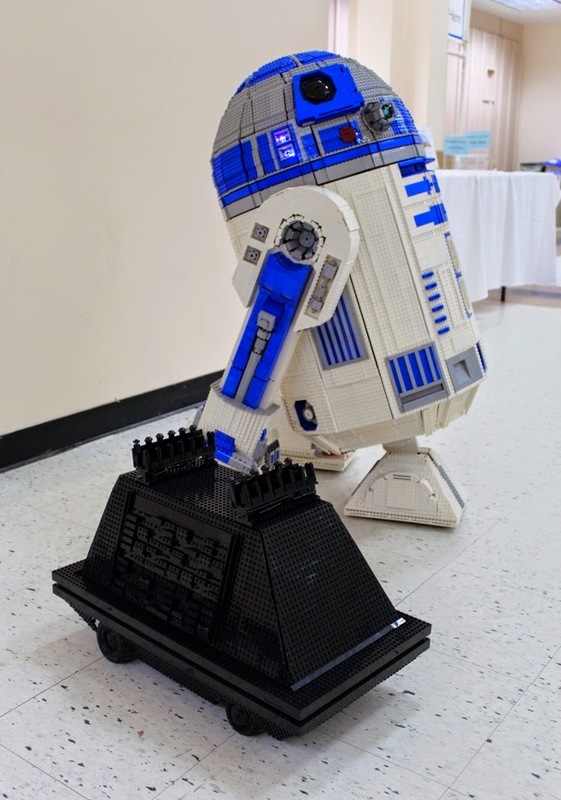 L3-G0 and MCK-Y, the Lego R2-D2 astromech and MSE-6 mouse droids. Above you can see that MCK﻿-Y has some glowing undercarriage LEDs that provide a ni﻿ce effect, if not canon. MCK-Y has his own set of bleeps and noises, we'll try to post some video later. MSE-6 Mouse Droids also go by the name "Baby Box Droid." Here's a close up of MCK-Y. I know we win because I have a picture of the trophy to prove it :) We one the "Sublime Shape" artistic category in Brickcon 2014. That's one of the art categories. 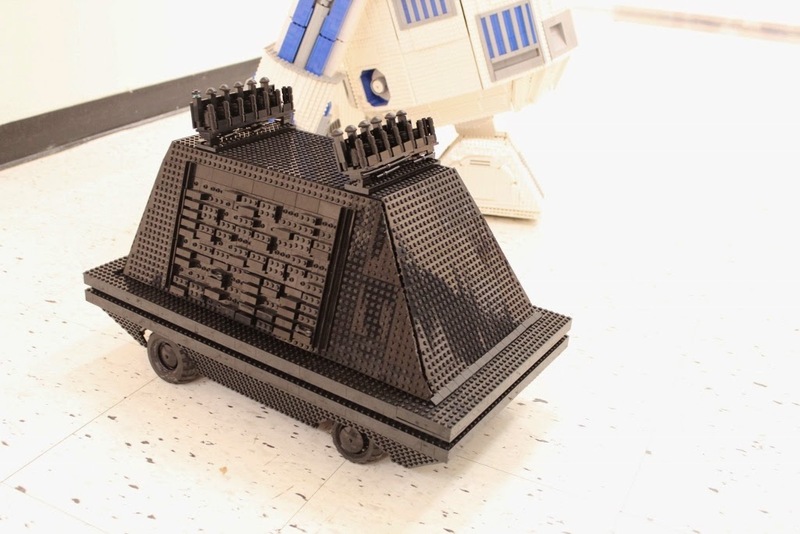 We're honored, there are tons of amazing MOC's at Brickcon. And, as you can see, the trophies themselves are pretty cool. This is our second trophy, the Lego Disney Wonder won a microscale contest a few years ago. We had a few mishaps, L3-G0's front foot took a beating, I think the hinges are getting looser so it falls apart more readily :(. MCK-Y is new, so had teething problems. The light is a battery hog, and his wheels are funny rubber bean bags (Lego tires filled with real beans), which make him have a cute wobble, but also make the wheels fall off. Definitely need to figure out how to get better wheels in the future. His wheels are also pinned on with 3 technic pins, so we were able to keep repairing the wheels until the pins actually broke!